Ford Motor Company has been a long-time partner of Silicon Valley-based 3D printing firm Carbon. Originally testing the potential for Carbon’s quick, layer-less Digital Light Synthesis (DLS) technology, Ford has tagged along with the company nearly since its inception. We are now beginning to see the partnership come to fruition as the two businesses unveil the first series of end parts made using DLS technology. 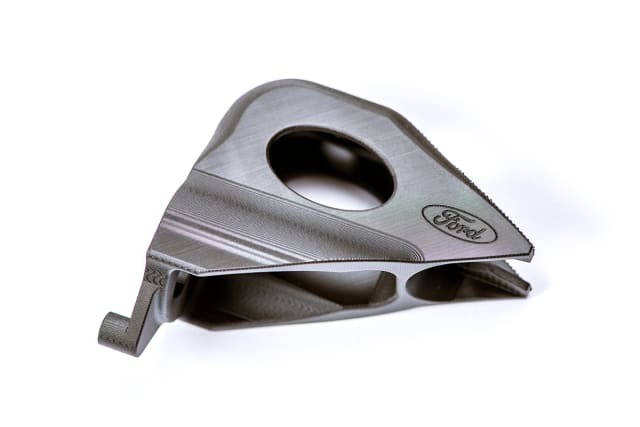 At the North American International Auto Show, Ford and Carbon showcased Ford Focus Heating, Ventilation and Cooling (HVAC) Lever Arm Service Parts, Ford F-150 Raptor Auxiliary Plugs, and Ford Mustang GT500 Electric Parking Brake Brackets 3D printed with DLS technology. 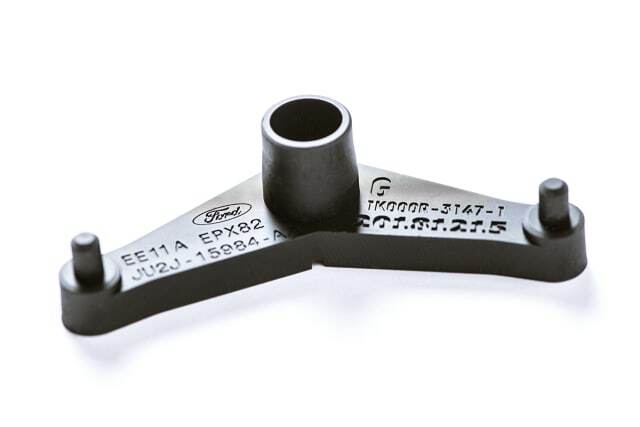 The parts were printed from Carbon’s EPX 82 material, which the company describes as “a cross-linked aromatic epoxy/amine” (more on epoxies here) that maintains its high-strength over long periods of time. Ford’s use of 3D printing technology has grown from its initial testing of Carbon’s technology to the launch of an Advanced Manufacturing Center in Michigan, which houses 23 3D printers alongside augmented and virtual reality platforms, as well as collaborative robots. The center also has relationships with 10 3D printing companies and believes the use of additive manufacturing will help it reduce costs by $2 million. Similarly, Carbon has been increasing its presence in end part manufacturing through partnerships with adidas, Johnson & Johnson and Vitamix.